A giant temple to the Aztec god of the wind and a court where the Aztecs played a deadly ball game have been discovered in the heart of Mexico City. 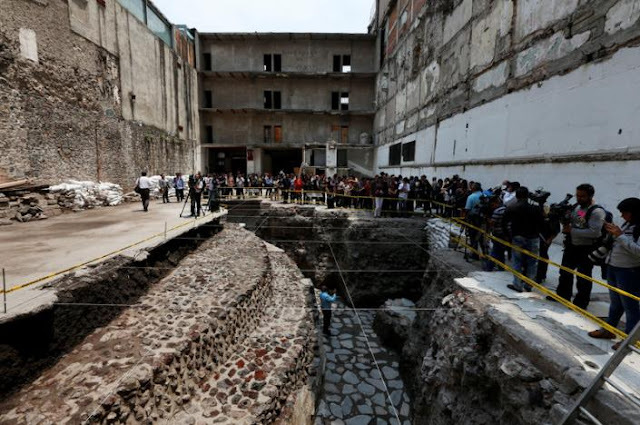 Archaeologists unveiled the rare finds on Wednesday after extensive excavations, giving journalists a tour of the semi-circular temple of Ehecatl-Quetzalcoatl and nearby ball court. 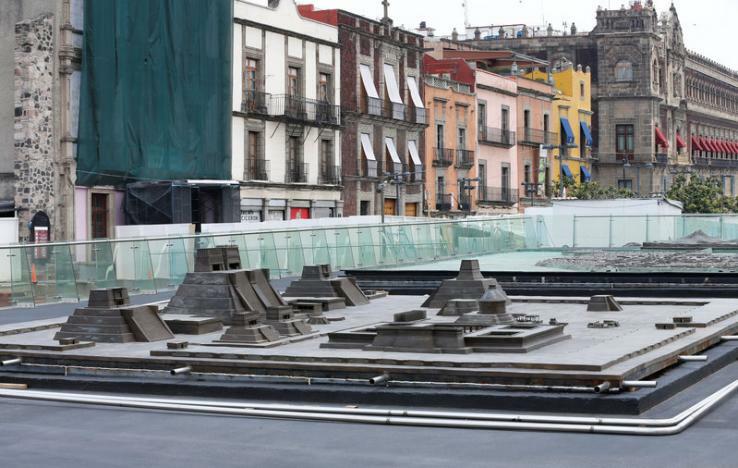 Records indicate that Spanish conquistador Hernan Cortes first watched the ritual Aztec ball game at the court in 1528, invited by the last Aztec emperor, Montezuma - the man whose empire he went on to conquer. Only part of the structure remains - a staircase and a portion of the stands. 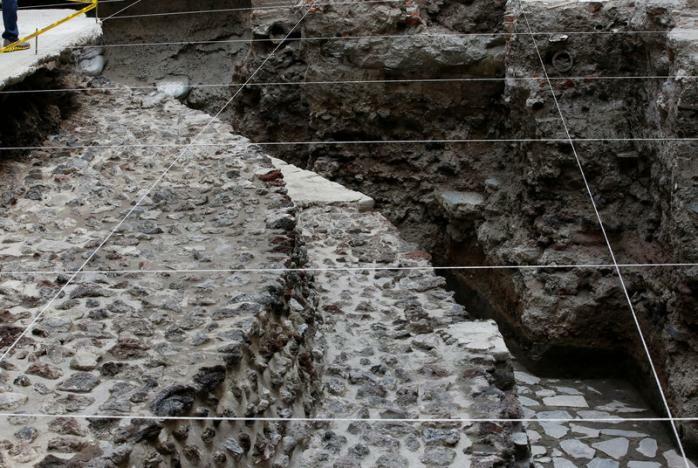 Archaeologists estimate the original court was about 50 meters (165 feet) long. The ancient structures stand in startling contrast with the sprawling mega-city that now surrounds them, which was built atop the ruins of the Aztec capital, Tenochtitlan. They are just the latest ancient vestiges to be discovered in the historic city center, at what is known as the Great Temple site. 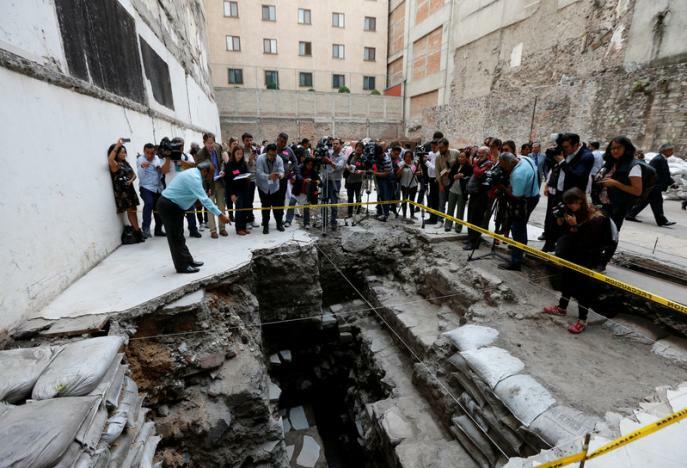 The hotel's owners then noticed the ancient remains and alerted the National Institute of Anthropology and History. 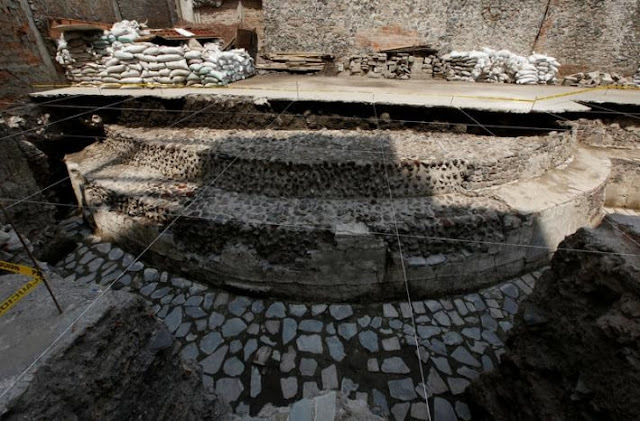 Archaeologists believe the temple celebrated the god of the wind and was built between 1486 and 1502. 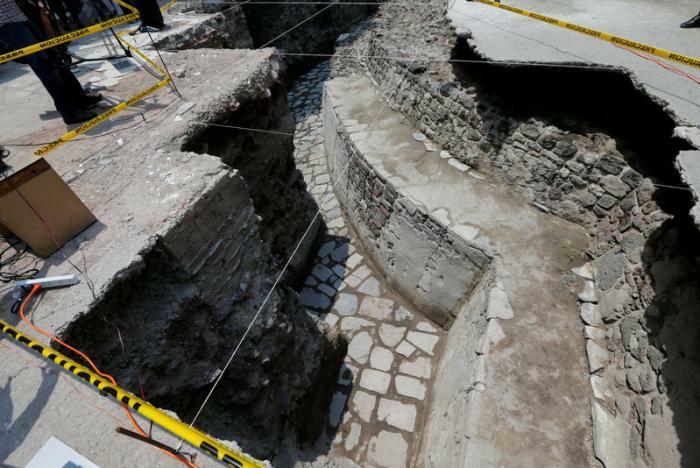 Officials said they plan to open the site to the public, although no date has been set. 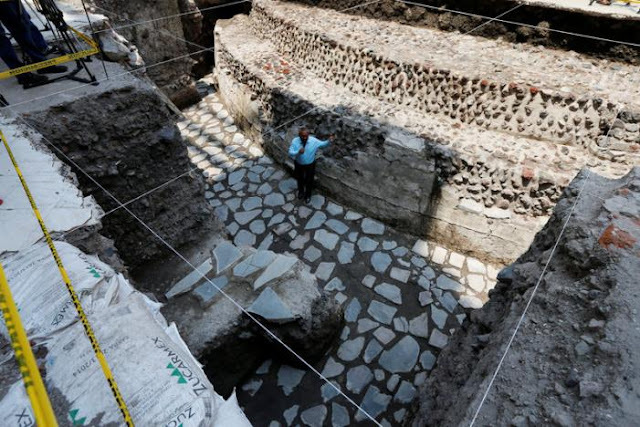 Responses to "Archaeologists uncover ancient Aztec Temple and Ball Court Ruins in the heart of Mexico City"